Sophia is brilliant. She's been a mathematics machine since early primary school, but being a maths genius doesn't mean she 'gets' everything. Facial expressions and body language are a mystery to Sophia, as are conversations about feelings. Sophia likes her world the way it is – without the emotional overlay. But what about Elsie, her best friend? And her brother who, by all appearances, seems to hate her guts? Are there clues Sophia is missing, despite her enormous intelligence? Then there's Josh, who remembers what it was like to prefer his own company. What does he see in Sophia? Could he manage to ignite a relationship with the help of a magic trick or two? The Secret Science of Magic delves deep into the mystery of relationships and what it might be like if you couldn't 'read' other people. 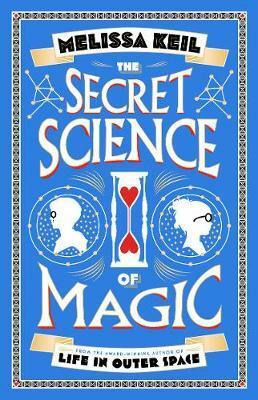 You'll find tragedy and loss, secrets and broken trust and a lot of other complications in The Secret Science of Magic, which is why it's the perfect read for escaping reality, or discovering it.